The elections are here. 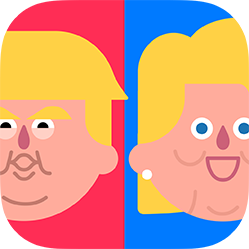 Trump vs Clinton, it's the Final Showdown! Run your way up to the White House because there can be only one President. Download Wonder Maru's new game for iPhone and iPad, it's time to take a stand! 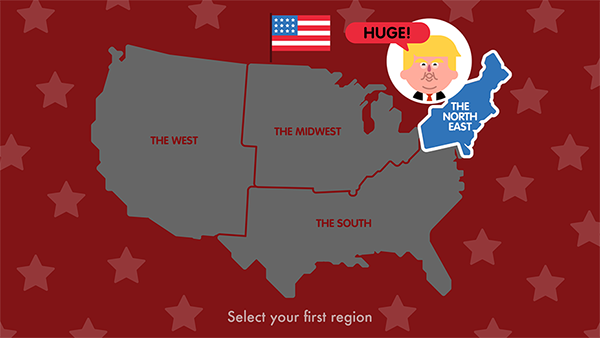 Gameplay: You have to conquer all the States if you want to become the new President! Gameplay: Tap right and left on your screen to outrun your opponents and pick up all the stars. Please download, review and share. Thanks! The elections are here. Trump vs Clinton, it's the Final Showdown! 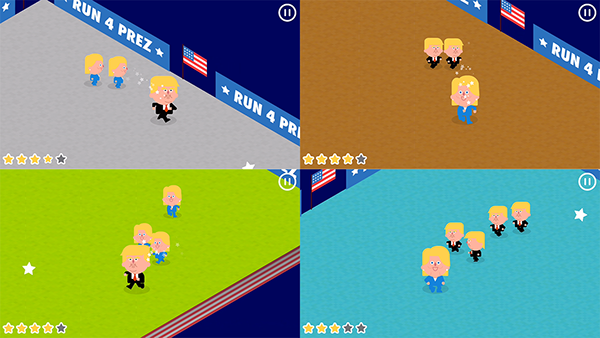 Run your way up to the White House because there can be only one President. It is time to take a stand, select your candidate and conquer all the States. Gameplay: Tap right and left on your screen to outrun your opponents and pick up all the stars. And remember to VOTE!